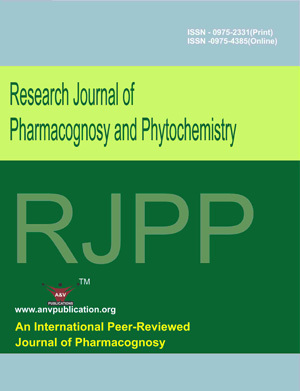 Research Journal of Pharmacognosy and Phytochemistry (RJPP) (ISSN: print-0975-2331, Online-0975-4385) is an international, peer-reviewed journal, devoted to pharmacognosy. The aim of RJPP is to increase the impact of pharmacognostic research both in academia and industry, with strong emphasis on quality and originality. RJPP publishes Original Research Articles, Short Communications, Review Articles in all areas of Pharmacognosy and Phytochemistry. The journal is published quaterly every year in last week of March, June, September and December. . . . . Read more. Online since Sunday, Mar 31, 2019 Accessed 332 times.